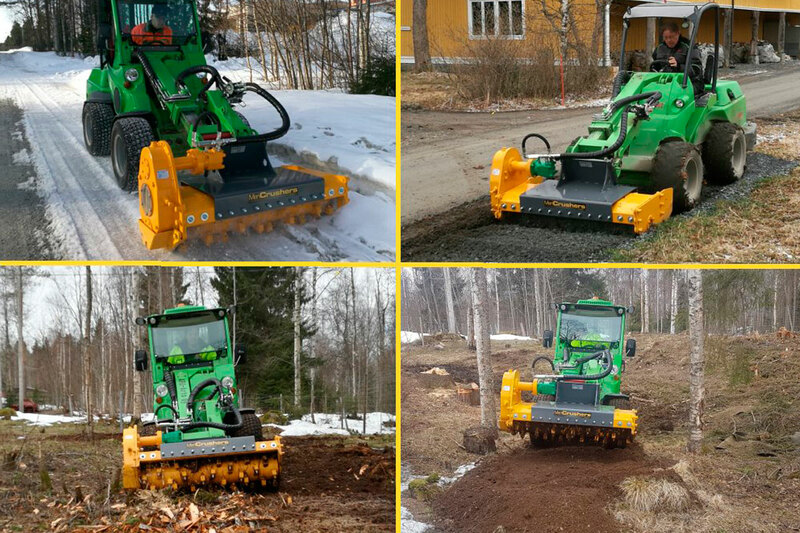 Used with a wide range of compact, track and skid loaders, the MeriCrusher MJ hydraulic shows its versatility crushing forest residue, clearing land for site development, maintaining gravel roads, crushing ice, removing stumps and roots, to a maximum working depth of 8" (200mm). 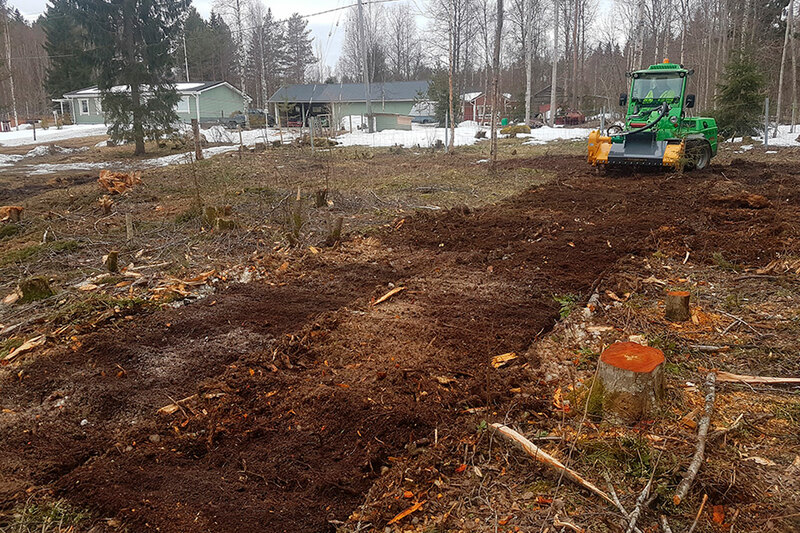 Modular design and structure allow future machine upgrades. 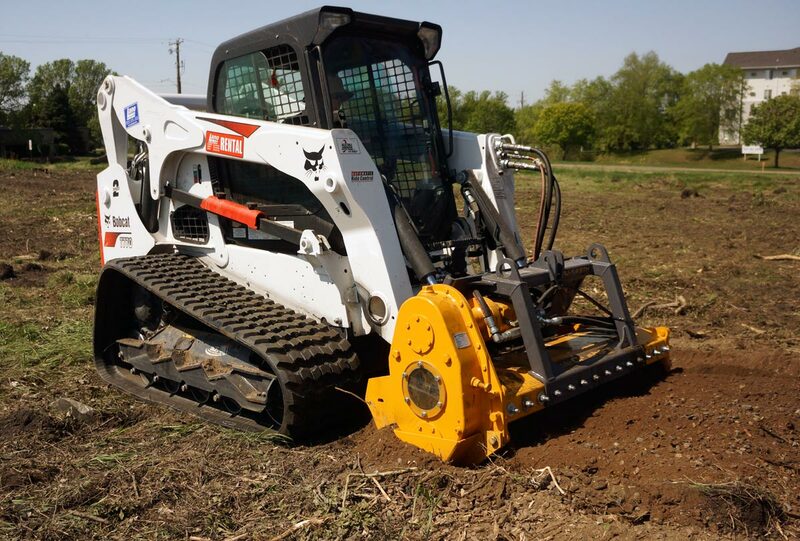 MJ series MeriCrushers with hydraulic transmissions are designed for versatile work. 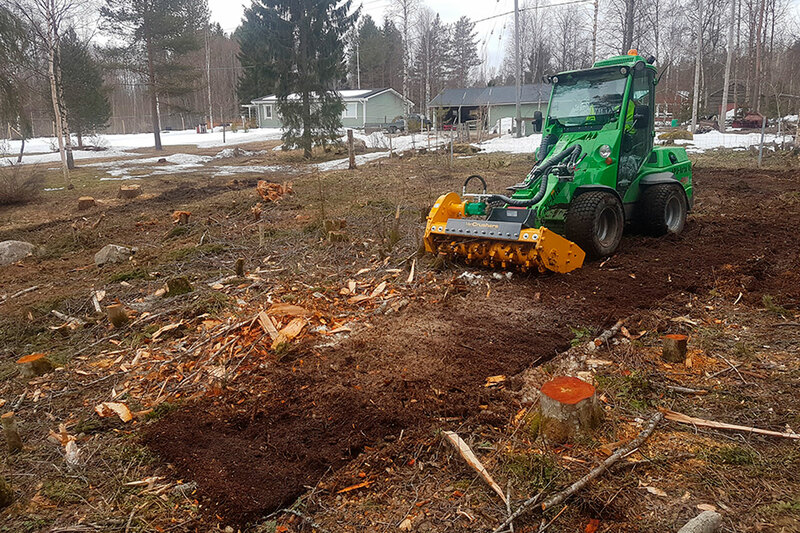 Light and strong construction make the MJ ideal for a wide power range of compact, skid and tracked loaders to 130 hp. 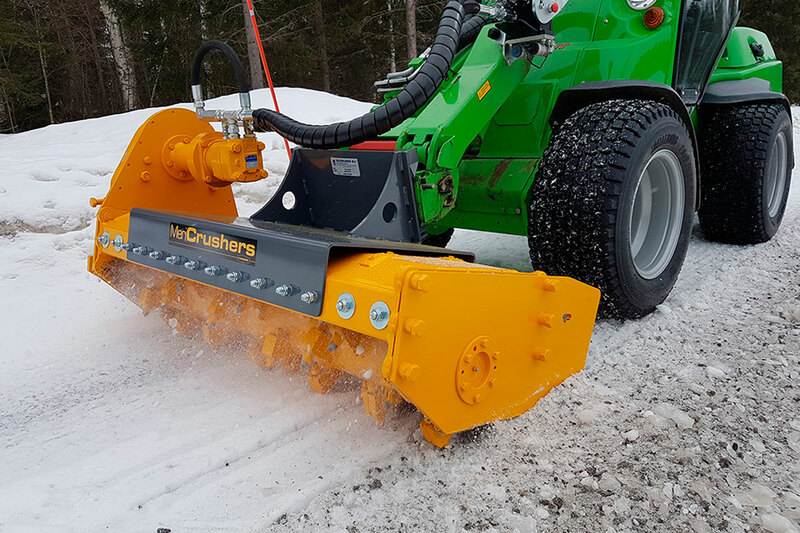 Working in conditions where light weight and durability are paramount, the MeriCrusher MJ hydraulic gives excellent crushing results from the STD rotor and economical carbide tipped tools. Power to the rotor is transmitted through a double row chain transmission. The MeriCrusher MJ hydraulic can be equipped with low (240bar / 3500 psi), or high pressure (400 bar / 5800 psi) components. Rotor diameter 400mm / 16"
Working depth 200mm / 8"